Ars Nova, Incorporated is a 501(c)3 status non-profit organization dedicated to the performing arts, with an emphasis on music. Operated under its auspices are a school for training in voice, music, and theatre in addition to a production company which performs plays, musicals, and opera. The school was established in September of 1998 with 25 students and has grown today to approximately 80 students. We are located at 2828 Drake Ave SW, Huntsville, AL 35805, in the same building with AB Stephens Music. We offer group classes for children ages 4-5 and grades 1-2. Our preparatory/community program for children and adults includes voice, piano and strings. Each student receives one private lesson per week for voice/instrument, with four performance classes included in each 16 week session. Performance classes provide the opportunity for students to perform for their peers in a comfortable, nurturing setting. Instructors teach appropriate stage gestures and guide performers in developing a confident, communicative presence on stage. Included in tuition, weekly classes are offered in theory and aural skills. These are open to the entire student body at no additional cost. The curriculum is from the Associated Board of the Royal Schools of Music (ABRSM), the examination board of the Royal Schools of Music based in London (http://us.abrsm.org). Courses are also offered as needed in Italian Diction, International Phoenetic Alphabet for Singers and self-conducting for Singers. 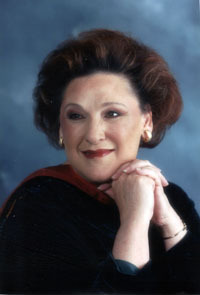 In the Spring semester, Dr. Barbara Hudson will be the clinician for an Alexander Technique Workshop which is open to the community as well as our student body. Adult voice students may elect anatomy for singers or self-conducting for singers. All of our instructors hold college degrees or certification in their field of expertise. Don’t forget to register for our next semester! We look forward to seeing you in one of our classes this term. Instructors and students have be associated with several of the following organizations. These organizations provide many opportunities throughout the year for auditions and competitions.